Jumping on the “Christmas in July” bandwagon! I’m being bombarded by Christmas crafts! It is futile to resist. 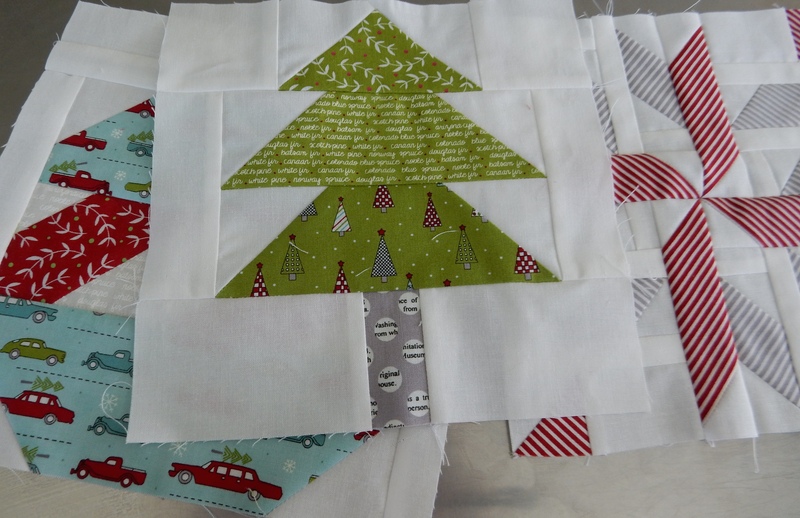 I decided to work on some quilt squares from the book Winter Wonderland by Sherri Falls of This & That Pattern Company. 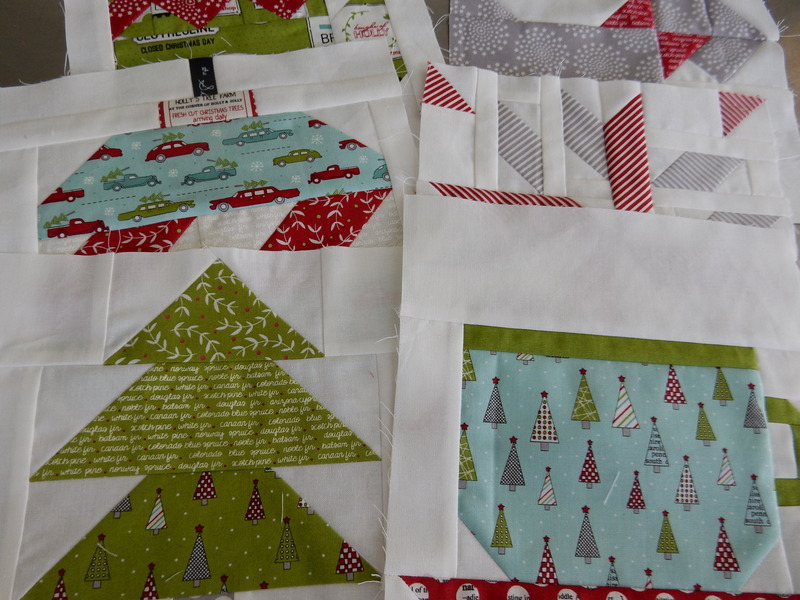 I have these fabulous fabrics called “Holly’s Tree Farm” by Sweetwater for Moda. How cute is this mug and saucer? 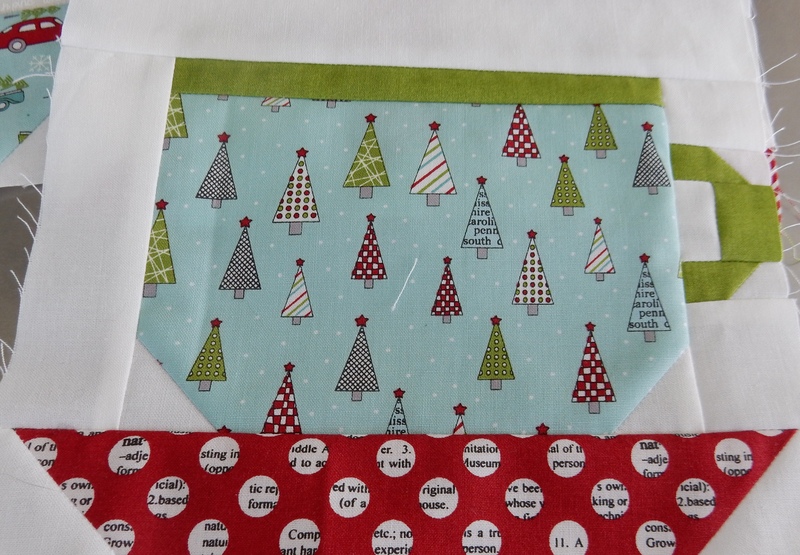 Aside from the usual red/green/cream, this new Christmas bundle has an awesome aqua and some surprising gray. 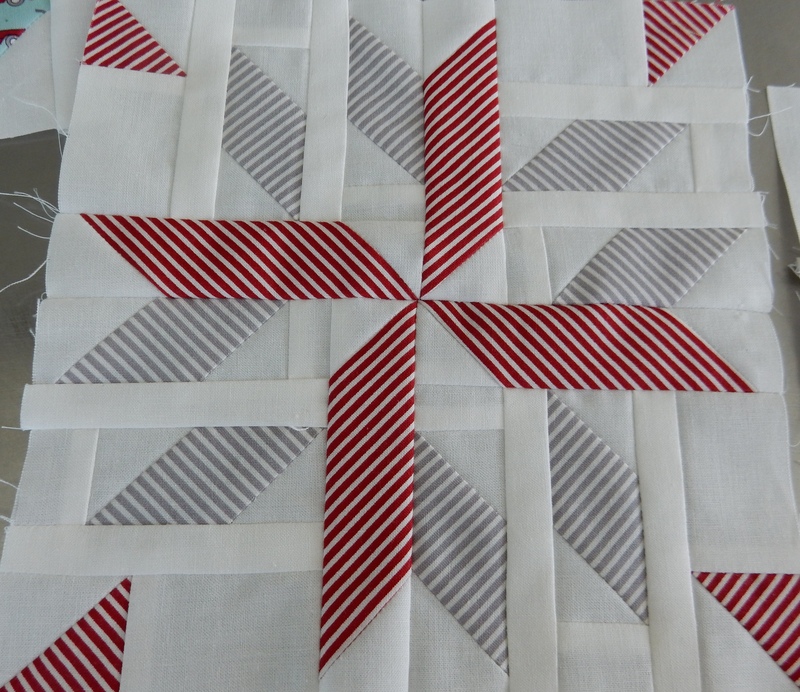 I love the way the gray works in this snowflake block. This is an ornament block. I point that out because to me it looks more like a big round bomb with a fuse from a Pink Panther movie. Maybe that’s just me. Here’s a mitten for all the little kittens. 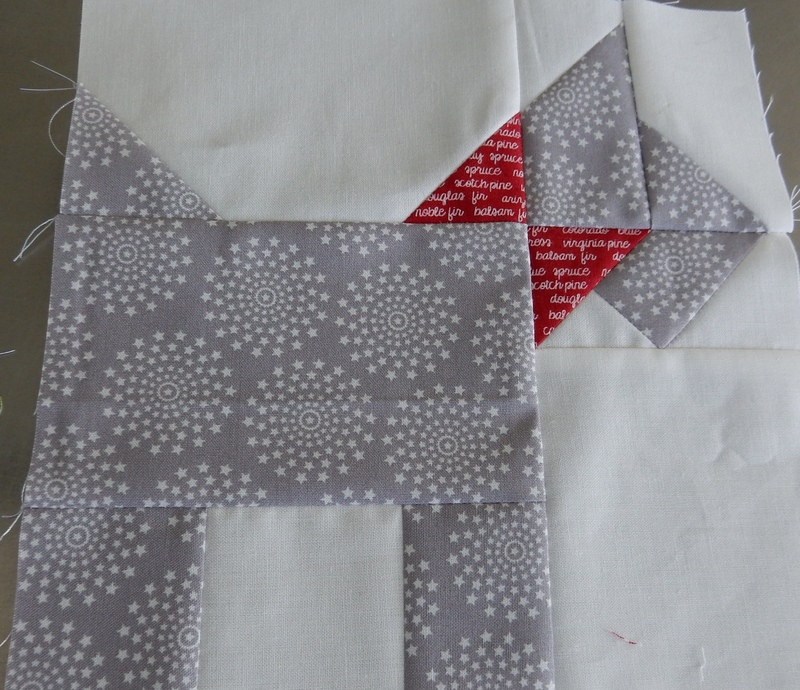 I had some fun deciding how to fussy cut this fabric. At least this block is easier to identify than the bomb ornament. What says Christmas more than a Scotty with a bow? These blocks are really fun to put together. 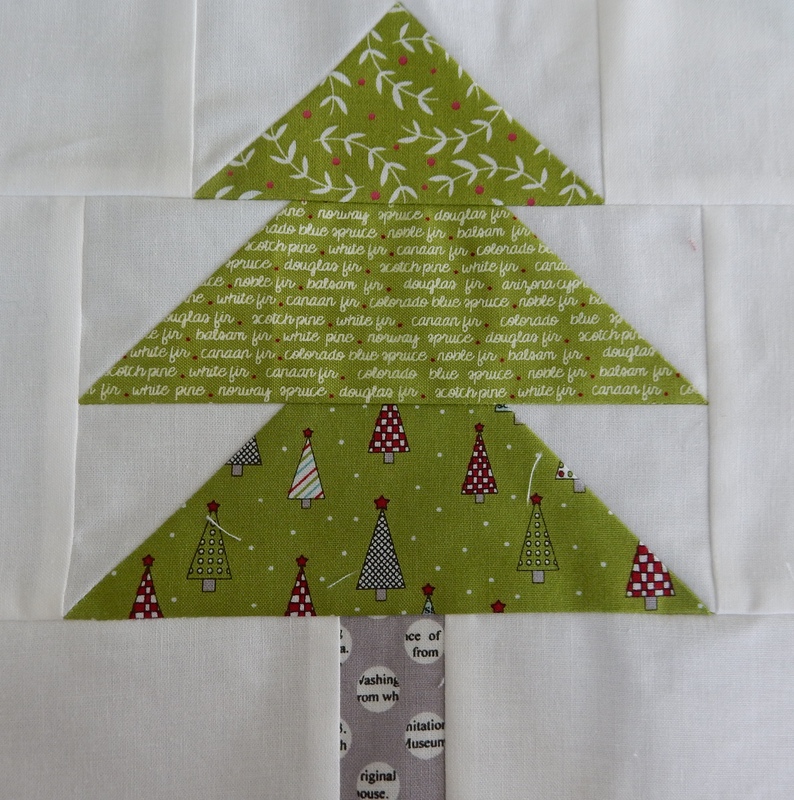 The cutting takes a bit of time, but the stitching goes fast. 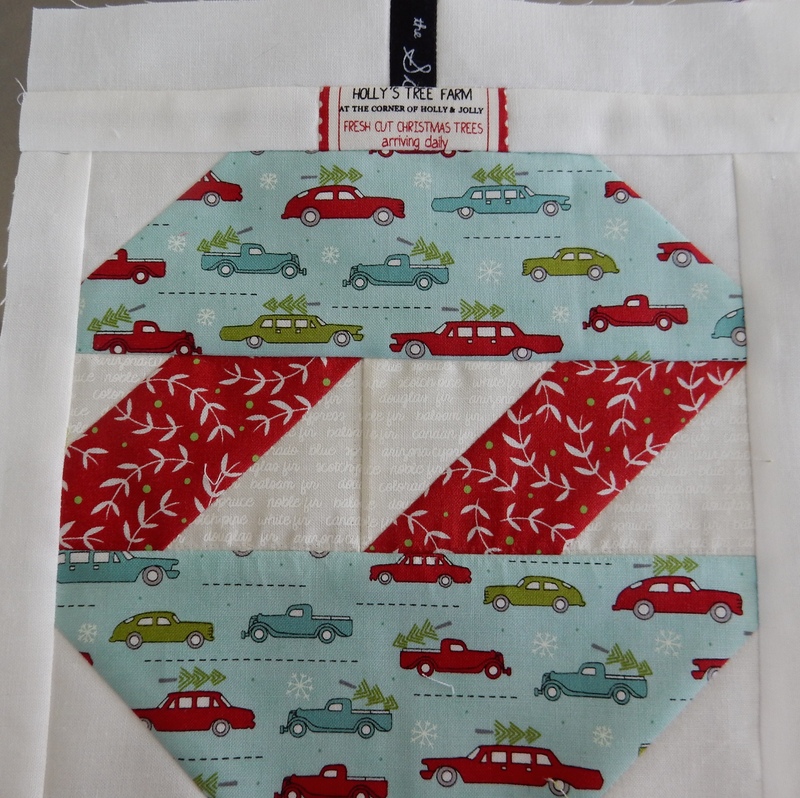 I think I found my piecing mojo while sewing these. 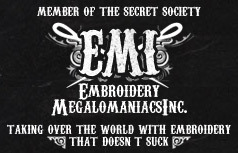 Since I got my new sewing machine, I have been struggling to find a comfortable and accurate 1/4″ seam. Every presser foot, every needle position is different on every machine. I have two different 1/4″ feet for my Destiny, and neither was working for me. 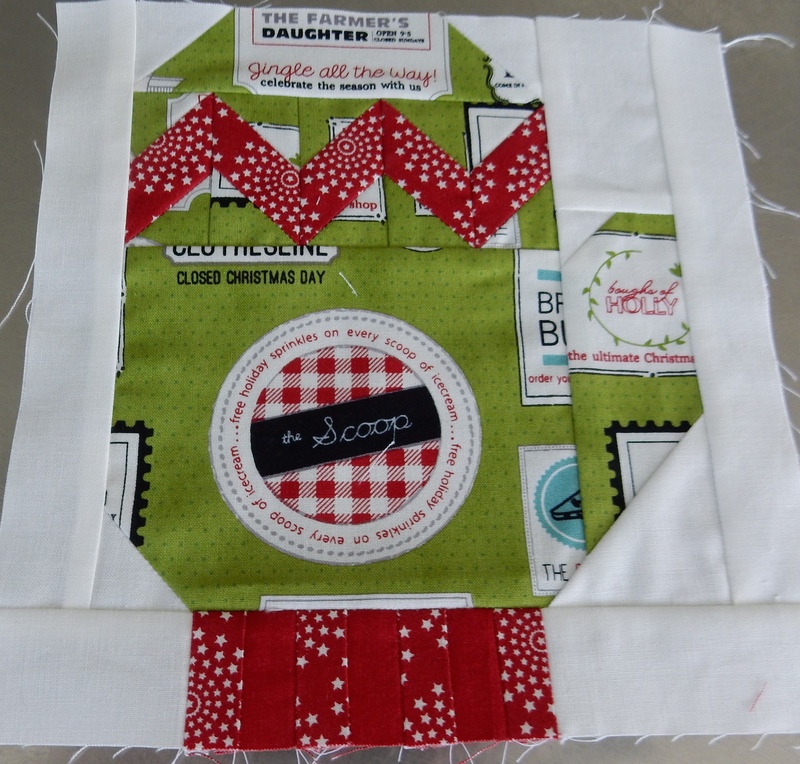 I think I finally found the right combo that works for me with my machine! So I’ve got that going for me. Which is nice. Since I’m jumping on this “Christmas in July” bandwagon, I want you to know that I’m not showing up empty handed. I’m going to bring my own flute player. Next I dyed my hair pink, and now my new dress clashes!